Bean and Barley Manila Corp.
About Bean and Barley Manila Corp.
Bean & Barley was created with a common passion to enable independent cafe operators with the proper coffee program, equipment, skills development, and everything they need in order to provide the best quality coffee for their customers, because every Filipino should have access to quality coffee that has been crafted with care. There are no social media links provided. Are you an employee of Bean and Barley Manila Corp.? Help your company find great talents by referring candidates to job vacancies and get rewarded for every successful referral. Do you want to be the first to know about the latest jobs at Bean and Barley Manila Corp.? Just subscribe with your email address and we’ll send you alerts as jobs become available. Are you an employee of Bean and Barley Manila Corp.? Refer this job listing to your friends and earn rewards for every successful hire. 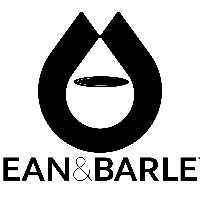 Jobs at Bean and Barley Manila Corp.